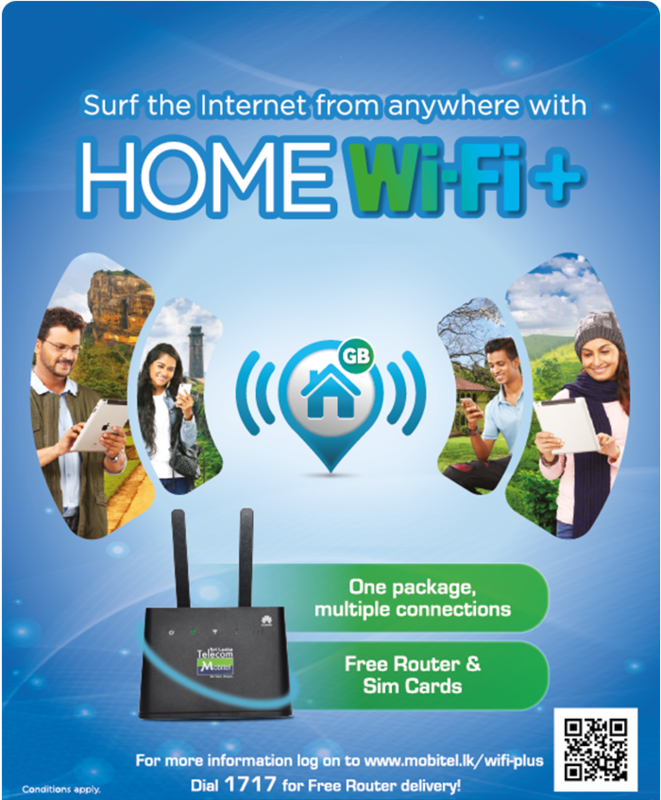 What is Wi-Fi plus (Wi-Fi +)? – This is a unique facility which Mobitel offers to share data bundle of one package (Main Number) within multiple SIMs (Sub lines). In other words, this feature allows to utilize the main package data bundle through a separate SIM (Sub Line). Ex: If you purchase a 50GB package and a Sub line, you can SHARE the 50GB package data bundle with the sub line. What happens if the main package data bundle is over? If the free bundle is fully utilized, excess usage will be charged as per the main line excess usage rate. Who is eligible to get a Broadband Subline? How many Sub Lines can be purchased per connection? Can I buy only a sub line? Can I make calls from the sub line sim? Yes, you can make calls from the Sub Line. What are the chargers applied when purchasing a Wi-Fi + (Sub line)? There will be no chargers. SIM will be issued FREE. No initial Deposits required. Will I get SMS notifications such as daily usage alert or 75% -100% bundle notifications to the Sub Line? NO, Mobitel will send all the notifications to the main number (main package). Can I share data bundles in my Postpaid Voice package or Prepaid by getting a Sub Line ? No, the Wi-Fi+ or else the sub line facility is given ONLY to the Broadband packages mentioned in Table no.1. What happens if the main number is disconnected due to a credit action or any other reason? If the main line gets disconnected, the Sub line (BBSUB) will also get disconnected.